With the growing popularity of the European style of nymping on our western rivers, Jig Nymphs are gaining popularity and often the “hot” new fly in a friend’s box. The jig style of hook is incredibly popular in Europe for a number of reasons. Jig hooks are designed to ride point up. This seems like pretty basic change to a classic nymphs design but makes a difference in a number of ways. When you’re fishing a deeply sunk nymph with a standard hook point down, it risks hanging up on the bottom more frequently. This not only interrupts your drift but can dull your hook points resulting in lost or missed fish. At least that is the common notion about tying flies on jig hooks. Fact is that most nymphs are tied on turned-down eye hooks and if those nymphs are weighted they automatically turn over on their back as soon as they are in the water. The only time turned-down eye hook rides with the point down is when they are unweighted. As soon as enough weight is added to overcome the keel effect of the hook bend, the hook turns over. The reason jig hooks turn a fly upside-down is because they have even more leverage than a tuned down eye hook. It kind of blows your mind when you think of all the weighted nymph that are actually fishing with their wing pads on their belly. Fly tied on an unweighted Standard Hook tened to hang vertical if suspended in still water. Bead head or hook shank wrapped with lead wire turns upside down in still or flowing water. Jig hook rides upside down and level only whey weighted properly. Jig hook with a slotted bead added tends to ride level. Jig hook rides level even with long trailing material if extra weight is added forwrd of the eye. 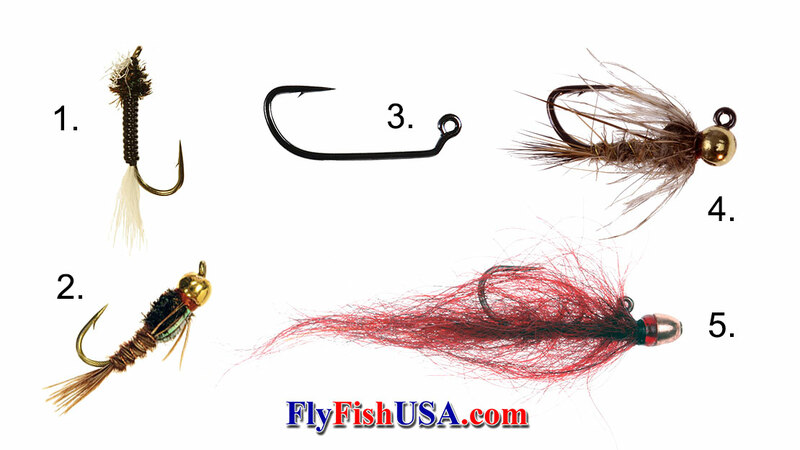 The reason jig hooks turn a fly upside-down is because they have even more leverage than a tuned down eye hook. With the angle of the eye pointing upward two things will also occur. 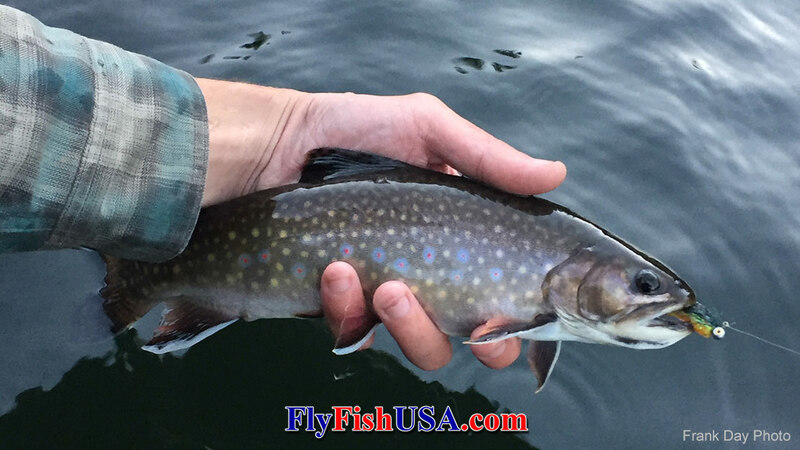 The fly will ride more evenly in the water giving it a much more natural horizontal orientation. Secondly the hook seats better. With the weight of the fish at the rear bend of the hook a straight or slightly down eye hook has a little bit of leverage put on it. With the eye of the hook on a 45 or 90 to the shank, the line meets the fly almost directly in line with the bend where it would seat in a fish’s mouth. This greatly reduces leverage and the likelihood that the hook will pop free on a particularly violent series of head shakes. Give the jig style of nymphs a try you won’t regret it, but a few big trout might….